I commend every word to you. This is how the medical profession should be and must be. My dislike of the Daily Mail is well documented (especially here). I have an inherent intolerance of their complete dishonesty. There was, for me, a beautiful moment this week where they demonstrated for the world how they compose their ‘news’ stories. Amanda Knox has become a media figure over the last four years. The terrible murder of her flatmate Meredith Kercher has almost been lost in the whole circus that has surrounded Knox’s conviction and subsequent exoneration. It seems clear that Rudy Guede committed this awful crime and the involvement of Knox and Raffaele Sollecito was always less clear. In my view, Knox was convicted on a mixture of prejudicial rhetoric by the prosecutor and junk-science. As such, her successful appeal is a good thing but I can understand Meredith Kercher‘s family’s disappointment and sense of loss. So, the appeal found Knox not guilty. They did find her guilty of a charge of slander. It seems that what happened was, the Daily Mail had a pre-written story, expecting her appeal of the murder charge to fail (or perhaps they had two?) and when they heard the word ‘guilty’ they immediately uploaded the pre-written guilty story to their website. Obviously it was rapidly taken down but thanks to the vigilance of various bloggers, the original is maintained for posterity. It can be read in full here. As Knox realized the enormity of what judge Hellman was saying she sank into her chair sobbing uncontrollably while her family and friends hugged each other in tears. A few feet away Meredith's mother Arline, her sister Stephanie and brother Lyle, who had flown in especially for the verdict remained expressionless, staring straight ahead, glancing over just once at the distraught Knox family. Prosecutors were delighted with the verdict. This is fairly nostalgic in some ways, because it is a big childhood memory for me. But I found myself wondering if Britain has finally cracked the idea of patriotism without nationalism. Is is possible to be proud of who we are without some kind of superiority complex? Watching this evening, one thing was particularly noticeable to me, amongst the many union flags being waved by an audience clearly having a very very good time were the flags of many nations. In about 5 seconds I spotted Arab nations, Scandinavian nations, as well as at least one German flag. I have to admit a certain tingle down my spine at the sing-along of Land of Hope and Glory but then the music is a powerful anthem and when one listens to music, one is choosing to allow oneself to be emotionally manipulated by it. And maybe it doesn't run any deeper than that, but I wonder, we have so much to be thankful for as Britons, so many freedoms and benefits that much of the world does not have. These are things to be proud of, grateful for, never complacent of and willing to fight for. Can we be proud of who we are and yet not consider ourselves better than others? Given our history - especially of empire building which was much more self-serving than benevolent (but strangely, not entirely) there are clearly massive issues. But in the past half-century we have changed as a nation and we don't see ourselves as Imperialists any more. Maybe that makes Rule Britannia and Land of Hope and Glory completely out of place and wrong. But maybe, just maybe we can be proud of who we are and yet not nationalist-supremacists. If the flags are anything to go by, I think we can. I wrote this some years ago and there is no way I could write it now. So many more things I could and probably should say but not now. Let's celebrate fathers who probably don't realise how valuable what they do is; how important they are. And spare a thought for those who really need their dad but for whatever reason, their dad just can't be there for them. Back in 2004, I read Bill Clinton's autobiography. I would recommend it, it's a good read. Whilst, no autobiography will ever be an unbiased account, it certainly gives a different picture on certain events. Intriguingly, in addition to recalling events, Clinton offers some interesting insights as well. Primarily on the political process, but also on life in general. One observation that was that in all enterprises if you set your sights low, you may well achieve them, but what you achieve might not be worth celebrating. On the other hand, if you aim for perfection, you won't get there but even by coming up short, the place you get to may well be worthwhile. When a young man, Clinton sat down and wrote a list of things he wanted to achieve in life. One of them was to write a good book. He finishes by observing that he'd managed to write a book and that it was for others to judge whether it was any good or not. In 2004, in a place called Worcester, in the Western Cape region of South Africa, I sat down, looked out of the window at the beautiful mountains and wrote my list. Me being me, my list was much more a prayer than a wish list. I've no idea where that piece of paper is now, I'm sure it is somewhere amongst my stuff. But I've never needed it, the priorities and desires are as clear to me as when I first put them into a coherent list. These are my desires and deepest prayers. There is, of course, much to read into each of these, emotionally and spiritually about vocation and calling and about what is important in life.. I never felt the need to write down any explanations or comments - or indeed to think them through in a detailed way. I trust my heart and mind to know the truths and I trust God even more to know me and to know what I should be. One comment I would make, though; the order of the list is not remotely accidental. Writing to my MP again... I know, I really should get a life....! Thank you for taking the time to write to me again. I also appreciate the inclusion of Lord Howe's response. However, I did not find your response or that of Lord Howe reassuring. If you forgive the analogy, if someone proposes to make holes in a perfectly serviceable boat, then the simultaneous offer of installing pumps to keep the water out will inevitably lead me to suggest that not making the holes is the more sensible option. And this is how I feel about the Health and Social Care Bill. Whilst some of the changes made to the bill are an improvement, fundamentally it is flawed and risks destroying the NHS. I wish to raise some specific points from Lord‟s Howe‟s letter. 1. Lord Howe states in his second paragraph that England‟s healthcare outcomes lag behind other countries. The University of York's report on NHS productivity that I referred to before is a far more comprehensive study [University of York Centre for Health Economics] There is a need to always look to maximise productivity, although this is far from straight-forward to actually measure. Healthcare is not like a factory, outcomes must be very carefully defined. It is very difficult for me to take seriously anything that Lord Howe says, after he begins his response with two statements that I know to be inaccurate. Why should I trust any of the reassurances that he gives? 3. It concerns me greatly that the minister responsible for this cannot tell whether the bill opens up the NHS to EU competition law or not. This is clearly of fundamental importance and whether it is an intended consequence or not, surely this should be known before the House votes on the bill. 4. The use of competition to drive up standards is something that all three political parties broadly support. However, there is nothing in this bill that prevents independent providers from 'cherry-picking'profitable services. Furthermore, according to the White Paper from 2010, there will be something around a 14% weighting towards private sector providers compared with NHS trusts due to the supposed financial advantages NHS organisations have. Whilst I am not necessarily against all competition per se (I would like to see hear more debate) as things stand, it is a system that will be significantly biased towards non-NHS providers. NHS trusts rely on cross-subsidising to cover the costs of services that cannot make a surplus and to cover the costs of training (estimated at around £5Bn/year for the NHS). 5. The argument for increased efficiency is at best confused. As I have described to you previously, major hospital trusts will have to go from having contracts with a small number of PCTs to having contracts with multiple GP consortia. This will inevitably multiply the work and administrative costs. In order to ensure quality for a multitude of suppliers and to commission more complex treatment whole new layers of bureaucracy are being created such as the Care Quality Commission, Lord Howe referred to. It remains to be seen whether these changes will actually save any money at all. 6. The government claims that the number of GPs that have signed up to become 'pathfinders' demonstrates broad support for their plans. This is plainly untrue. There are two more significant reasons why GPs have signed up. Firstly, they have a deep commitment to their professional responsibility and know that providing the best care for their patients necessitates being involved in shaping the plans. Involvement is not the same thing as enthusiasm. Furthermore, the way the DOH has structured things, any consortia formed before April this year will not be responsible for PCT debts. Any formed later will have to carry that burden. "No-one in the House of Commons knows more about the NHS than Andrew Lansley... Andrew Lansley spent six years in Opposition as shadow health secretary. No-one has visited more of the NHS. No-one has talked to more people who work in the NHS than Andrew Lansley... these plans are consistent, coherent and comprehensive. I would expect nothing less from Andrew Lansley." “This is a Conservative plan for the NHS. This is Andrew Lansley's plan. No-one in the House of Commons knows more about the NHS than Andrew Lansley – except perhaps Stephen Dorrell. But Andrew Lansley spent six years in Opposition as shadow health secretary. No-one has visited more of the NHS. No-one has talked to more people who work in the NHS than Andrew Lansley. 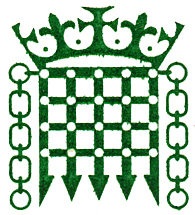 The Health select committee concludes – in so many words – and as I believe, that these are the wrong reforms at the wrong time, “blunting the ability of the NHS to respond to the Nicholson challenge” to improve services to patients and make sound efficiencies on a scale the NHS has never achieved before. But these plans are consistent, coherent and comprehensive. I would expect nothing less from Andrew Lansley. One could describe the Prime Minister's response as in-keeping with theatre-poster writers who excel at quoting critics out of context. However, like the references to healthcare outcomes in other countries it is entirely misleading. I am not trying to make a party-political point here, simply to emphasise that the arguments in favour of this bill are a mixture of flawed logic and misleading information. I work in the NHS, I am aware of its weaknesses and issues. However, I also know of its great strengths which are hugely threatened by this bill. I thank you again for inviting me to your constituency surgery; I will find one that I can attend, in order to discuss this with you further. Below is the follow-up letter I received from my MP. As promised he has forwarded the reply from the government after he wrote to Andrew Lansley to share the concerns of me and my fellow constituents who have written to him. Voting Systems - why I don't like PR. Now, Britain is in the grip of referendum-fever. The excitement over the potential change to the voting system is palpable. It is also non-existent. In a very British way there is a general sense of apathy. For the record, I think AV (The alternative vote) is a good system and I will be voting for it. Whilst, I will probably end up writing more at some point, for today I wanted to explain that I don't want Proportional Representation. That despite its advantages, I don't think it's a good system. Firstly, I need to expand on my thoughts about democracy. The idea of democracy is that government exists for the people and by the people. (To coin a phrase). The principal of representation is of course at the heart of all this. For me, the genius of democracy is not that people get what they want per se. Mob-rule doesn't work very well, but that it holds leaders accountable to the electorate. It is in this context that I would evaluate any potential voting system. In the UK, we have a relatively simple 'First past-the-post" system. The reasons for this are in-part historical but the idea is very straightforward. Each constituency has one MP. Of the candidates who stand, whoever gets the most votes wins. Whichever party has the most seats in parliament then forms the government. Either on their own if they have an 'overall majority' or in coalition is they don't have enough MPs on their own. It is also possible to form a minority government but that is a rarity in the UK. Given that most people vote for a party rather than an MP, this system favours bigger parties over smaller ones and favours parties with 'concentration' of support in particular areas. This distortion means that parties can have 100% of power with only about a third of public support, and that parties with as much as a fifth of popular support have much less representation in parliament. So, one of the alternatives is Proportional Representation (PR). This is the simplest system in theory. Quite simply, the number of votes are counted nationally. And the proportion of MPs is then allocated to each party according to the proportion of votes. Proponents always begin their argument by explaining how inherently fair such a system is. PR makes coalition government very statistically likely. This in itself is not necessarily a bad thing but does have implications. Especially when it's a coalition of lots of parties. In order to make a working majority such coalitions often have to include multiple small parties. These parties will seek concessions from bigger parties in return for their support. This often, in practise means that a party with 5% support has more power than one with 30% support. Extreme parties regularly hold the government to ransom in Israel. This for me undermines the fairness argument. PR makes the parties more powerful. Before each election, each party will produce a 'list' At the top of list will be the party leader, and then the rest of candidates are listed in order of priority. If a party wins enough votes for one seat, then only the leader becomes an MP - if they win enough for 100, then the top 100 become MPs and everyone from 101 downwards misses out. In the real world, many of the most effective parliamentarians are ones prepared to dissent and stand up to their party leaderships, the relatively independent MPs are often best able to represent their constituents effectively. The party whips have an important role in delivering on a manifesto. However, I do not think that making the party machinery more powerful would be good for democracy. How many members would stand up to their leadership if it means being moved from the top 50 on their party's list to the maybe 250 where they have much less of a chance of being elected? PR breaks the link with the constituents and their MP. Arguably, the greatest strength of the current system is that each MP represents ~100,000 people. If you have an issue, you can write to or visit your MP to raise it. This constituent-MP relationship is one of the best things about representative democracy. At some other point, I will probably talk about my thoughts on AV, STV and FPTP, but I think that's enough for now.There is no such thing as a perfect system, but I think AV is actually pretty good. FPTP has some strengths but also significant weaknesses. One other very good reason to vote for AV is the no2AV advertising posters; if this is the best they can come up with then there can't be any good arguments! Thank you for contacting me regarding the Health and Social Care Bill. I am determined to ensure that the Government’s proposals should only enhance the services that are currently offered to patients, and not lead to the privatisation of the NHS. I believe the NHS should be there for everyone who requires it, funded from general taxation with services that respond to need, rather than ability to pay. I am pleased that we have been able to secure an increase in the NHS’ budget every year of this Parliament. I have welcomed the chance to visit medical centres and other health care service providers across the [________] constituency and feel that we should be very proud of the high standards of care that are currently available to .patients. The proposals set out in the Health and Social Care Bill are an evolution of the plans which governments have introduced over the last twenty years. Foundation hospitals, and indeed allowing patients to choose where to be treated on the NHS, have been ideas in the NHS for the best part of a decade. The proposed changes are being developed by around six thousand GPs who have come forward to help modernise the existing system with the understanding that the savings made will be ploughed back into patient care and front-line services. The implementation of these changes is proposed to be carefully phased over the next five years and is expected to save £5 billion by reducing unnecessary administration in the NHS over this Parliament. These proposals have been developed from a number of those set out in both of the manifestos of the coalition members including the Liberal Democrat manifesto, which stated that local communities should be empowered to improve health services through elected Local Health Boards which would take over the role of Primary Care Trust Boards in commissioning care for local people and would work in co-operation with local councils. Some of my constituents are concerned that as a direct result of these new proposals, the structure of the NHS will be fundamentally changed so that doctors and nurses act like accountants, considering the price of treatment over the needs of their patients. Frontline doctors and nurses should bring clinical leadership into NHS budgeting and must be given all the support they need to help them take decisions in the best interests of their patients. GPs are already responsible for taking decisions about NHS expenditure in terms of whether a patient needs a medicine or form of treatment but because they aren’t currently responsible for this expenditure, the Primary Care Trust has to ‘second-guess’ the decisions taken by all their GPs before deciding which services need to be offered. The proposals set out in the Health and Social Care Bill therefore allow GPs to influence the allocation of expenditure more accurately to where it is needed most. Ministers would continue to remain fully accountable to Parliament for the way in which NHS money is spent, but local services could be shaped to meet local needs through GP practices working together, rather than by designs imposed by a Primary Care Trust. It can be very beneficial when patients are able to choose where they are treated, whether it’s in an NHS hospital or by one of the voluntary or private sector services. A number of my constituents have raised the concern that price competition in the NHS will lead to a ‘race to the bottom’ on quality in which private providers will cherry-pick the easiest cases and I am keen to ensure that this is not the case. The Government plans to establish a powerful new regulator to make certain that there is no set target for the amount of private sector involvement in the NHS and that the Government does not pay more for a private sector service than it would pay the NHS. Clear national standards of care will be set, so patients can be confident that wherever they are treated, the NHS care they receive will be of the same high standard. Consequently, choice and more competition should lead to benefits for patients who will choose from the highest quality so that competition will then be based on quality, not price. I have written to Andrew Lansley MP, Secretary of State for Health, urging him to consider the specific concerns that you and other constituents have raised and to explain how the Government will ensure that high standards of frontline care provision will continue to be maintained. I will contact you again on receipt of a response. I hope that this information is helpful. Please do not hesitate to contact me if I can be of any further assistance on this, or indeed any other matter. If you would like to discuss this issue in more detail, I would be very pleased to meet with you at one of my upcoming surgeries, which are advertised on the website: [link provided]. I am writing to you to express my serious concerns about the Health and Social Care Bill (2011), in the hope that I – along with many others who are similarly concerned - can prevail upon you to vote against it. I would also like the opportunity to discuss this with you further at one of your constituency surgeries. I have been a doctor for five and a half years and as such have seen how the NHS works (and how it doesn’t). I am currently a surgical trainee, working at Bristol Royal Hospital for Children. In common with all trainees, I have previously worked in various specialties; including cardiothoracic, intensive care, colorectal surgery, vascular surgery and ENT. In my view the Health and Social Care Bill presents a plan of reform that is unnecessary, unworkable, unwanted and ultimately counter-productive. Whilst I do not agree with some who view the bill as the ‘death of the NHS,’ it is – in my opinion – a dangerous step in that direction. The primary justification used by the government is that the NHS is expensive and delivers poorer outcomes than comparable countries. [1,2] This analysis can charitably be described as flawed or perhaps, more precisely, as very misleading. The NHS is surprisingly efficient, delivering comprehensive healthcare coverage for around £1700 per person. A recent report noted that the NHS is the most efficient healthcare system in the seven countries they looked at. (The seven countries were The Netherlands, Germany, The USA, New Zealand, Canada and Australia). Most of the developed world uses insurance-based systems requiring another level of bureaucracy that the NHS does not have. Only a small part of NHS care is provided by for-profit providers. Taking these factors into consideration, it becomes less surprising that the NHS is more efficient than alternative systems and that so much of the NHS budget is spend directly on patient care. It is also worth noting that the widely-reported flat-productivity of the health service is not necessarily correct. A more detailed analysis by the University of York shows that productivity is actually improving and that the ‘flattening’ was in part due to external influences such as the Working Time Directive and that some of the spending was on longer-term investment and hence the output from that spending will not be seen immediately. Furthermore, healthcare productivity should always be interpreted with great care as crude productivity can always be improved at the cost of quality. A good example from the acute surgical ward that I worked on until recently was the decision to reduce the number of trained nurses on the morning shift from four to three. Simplistically this will look like a productivity gain as the same number of patients are being cared for, the same number of operations are being performed, and yet the unit now has lower costs. However, the nursing staff themselves will tell you that the quality of care has fallen and they are frustrated that they do not have the time to deliver the level of care they want to. “The official ministerial briefing for the Health and Social Care Bill states that despite spending the same on healthcare, our rate of death from heart disease is double that in France. Although statistics from the Organisation for Economic Cooperation and Development (OECD) confirm that in 2006 the age standardised death rate for acute myocardial infarction was around 19/100,000 in France and 41/100,000 in the United Kingdom, comparing just one year-and with a country with the lowest death rate for myocardial infarction in Europe-reveals only part of the story. Despite the fact, that until very recently the UK has spent less on healthcare then comparable countries, the death rates from heart disease are falling faster than other countries and similarly the UK has the most rapid improvement in cancer survival of all European countries. At a time when the NHS is being asked to make unprecedented savings, it seems to me, ludicrous for £2-3Bn to be directed towards reform. Even supporters of these reform measures admit that the promised medium-to-long-term savings of these reforms are optimistic and that the reforms have with them significant dangers. Inevitably, patient care will suffer as a consequence. It is good politics to talk about given more power to clinicians – in the form of GPs - to decide on patient care. Whilst I work in hospital medicine and therefore do not have direct experience, I know that most of my GP colleagues are not enthusiastic. Doctors are trained in patient care, they are not trained in administration. It is misleading to think that the decision making will be made solely by GPs. They do not have the time or the training to commission services effectively. Many do not have the inclination. I am fully in favour of more clinician involvement in management, and particularly strategic planning. There are some GPs who are very keen to be involved in this. However, forcing this role on all GPs will simply mean that the consortia either employ those laid-off by the Primary Care Trusts or contract it out to the private sector. This will result in a multiplication of work for the hospital trusts who currently have contracts with a small number of local PCTs, who will now have to have contracts with multiple consortia. Similarly, training is being squeezed. As a doctor in a training post, my basic salary is paid by the Severn Deanery, who are responsible for post-graduate training and appointed me. My hospital only pays a third of my salary. Already, training posts are being slashed. The hospital trusts still have to fill their rotas – to ensure patient care, therefore they have to directly appoint doctors to what are known as ‘trust-grade posts.’ The full costs of these doctors is paid by the hospital. Therefore, with less training posts, the trusts costs are increasing, whilst their income is static. This is one of the indirect methods in which hospitals budgets are being cut. It also means that in five to ten years-time there will not be enough consultants or qualified GPs. The lack of consultants will cause waiting lists to increase massively – and we have just spent a lot of money to bring them down. (It is much cheaper to keep them down than to decrease them). Insufficient access to General Practise results in an increased burden on A&E departments. The increased role of private providers is also concerning as they already cherry-pick services. This is problematic as hospitals inevitably have to cross-subsidise services in order to function and the private sector does not share the burden of the cost of training. One estimate of this is that training costs the NHS £5Bn per year. With the increase in competition, especially from private providers who do not have the same responsibility for training, there is a very real risk of training being squeezed out. Training is expensive but obviously, absolutely vital to long-term planning. Public satisfaction with the NHS is at an all-time high. The NHS is much better than it was a decade ago. The more the public know about these reforms, the less they want them. Similarly, doctors, nurses, managers and professionals-allied-to-medicine are all against the reform. It is unusual that all these different groups agree. There does seem to be an unshakable belief that competition and free-markets are the solution to all problems. We know that privatisation does not work when it comes to armed forces. Similarly I would argue that the market does not really belong in healthcare. The extreme example of this, of course is the American system with astronomical costs and around 20% of the population without healthcare. Similarly detailed analysis by the University of Bristol of the effect of competition in the 1990s with fund-holding GP’s showed that direct competition between hospitals resulted in a reduction in the quality of care. Using mortality after myocardial infarction (heart attacks) for their analysis they showed that death rates were increased by competition. Whilst, it may be emotive, it is not inaccurate to say that competition in the NHS led to more deaths. This evidence of a reduction in quality along with the reasons to believe that costs will increase leads me to view these reforms with extreme foreboding. The previous government introduced some competition to the NHS system, however, this was specifically competition on quality and not cost. This fundamental difference is vitally important. Furthermore, so much of healthcare relies on cooperation between services. This is one area in which the NHS needs to improve. The fragmentation of, and competition between, providers risks making this much worse. My great fear is that the great strengths of the NHS will be lost. Healthcare will get more expensive and less effective. I am not opposed to reform per-se. There is much that can be done to improve the NHS. There is also much that should be done. However this bill is not going to improve healthcare in the UK, it will only have the opposite effect.